As a clinical psychologist, Dr. Vohs aims to provide evidence based care to individuals with behavioral and mental health disorders. She believes that it is this clinical work that guides research hypotheses and enables training opportunities vital to the forward trajectory of the field of psychology. Dr. Vohs strongly advocates for integrating a number of areas in psychology and psychiatry, at multiple levels of analysis, in order to improve understanding of underlying mechanisms and promote development of novel, more effective, therapeutic interventions for individuals who suffer with mental illness. Dr. Vohs is an active member of a number of research groups, including the IU Psychotic Disorders Program and in collaboration with the MERIT Institute. 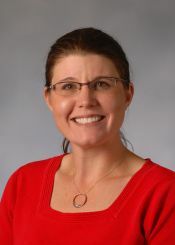 Dr. Vohs' publication record reflects the breadth of her training and early career pursuits, with topics ranging from metacognition and negative symptoms in patients with schizophrenia to electrophysiological abnormalities in both humans and rodent models of psychopathology. In addition, Dr. Vohs more recently has served as a clinical psychologist and co-director of a population health program, Changing Health Outcomes through Integrated Care Excellence (CHOICE), at IU Health. Research Interests: Novel treatments for enabling recovery and enhancing quality of life for individuals with psychotic illnesses, Neurobiological substrates of severe mental illness.